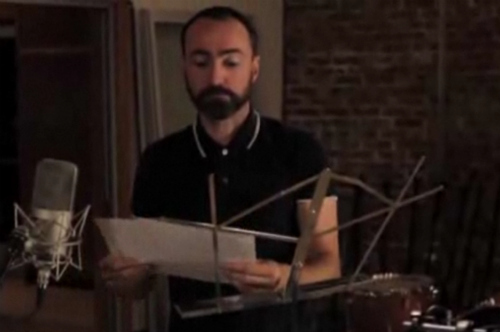 The Shins frontman James Mercer is no stranger to comedy. After all, the soft crooner did appear in Portlandia‘s first season, and admirably so if we may add. Now, he returns to tickle our funny bones with a short clip for Funny or Die. Judging from the clip here, it appears Mercer ran into some problems while recording the clap track to ”Simple Song”, the latest single off the band’s upcoming fourth LP, Port of Morrow. It’s a good thing he found the perfect remedy, though. Take a gander below. Given his current track record in the comedy genre, perhaps Mercer will appear on some skits during the band’s Saturday Night Live appearance on March 10th. Stay tuned. Port of Morrow is out March 20th via Columbia/Aural Apothecary.